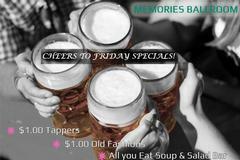 Visit us for our Friday night fishfry, salad bar and Old Fashioned/drink specials! Open 4 p.m. to 9 p.m every Friday. We offer accommodations for groups from 20 to 700. 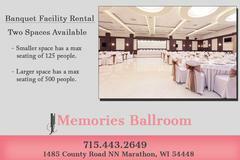 Located only minutes from Wausau, we have the convenience of easy access while being able to offer an atmosphere that is sure to add to your special day. We are currently taking bookings for our new outdoor wedding site! Call and make an appointment to see what options we have available for your memorable outdoor ceremony. 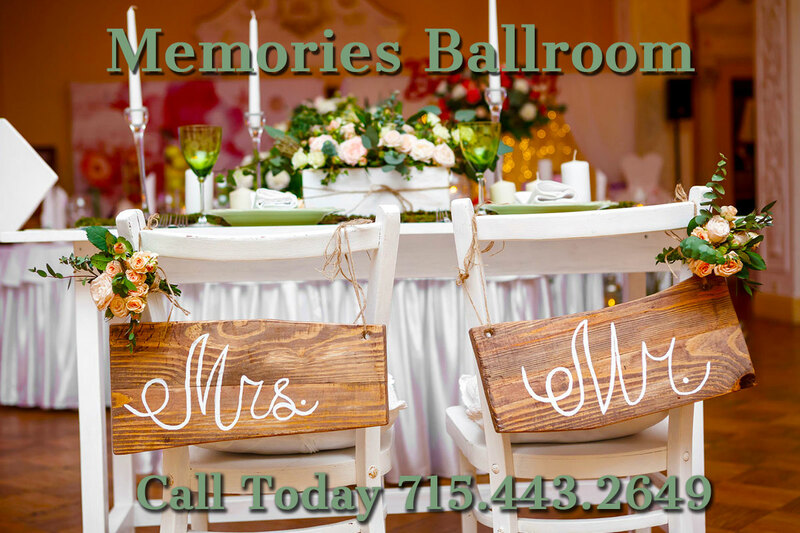 At Memories Ballroom, our philosophy is simple. 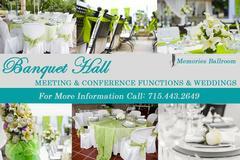 Great food, friendly professional staff, and the attention to personal details that make your event perfect. At Memories, we take pride in the quality of every dish we make. 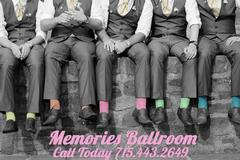 "Memories Ballroom is more than just a ballroom. Their country landscape, outdoor wedding site, and service to every one of our guests, is exquisitely every brides dream." - Lucia H.